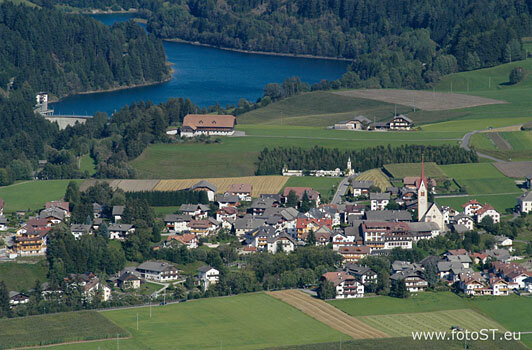 Lush meadows and dense forests nestle up against the charming holiday village Valdaora / Olang in Val Pusteria / Pustertal. Majestic summits tower above the small holiday paradise which shows off its best side to the guests of the lovely villages Middle and Upper Valdaora, Sorafurcia and Lower Valdaora. Everyone who wounds up here experiences pure relaxation and adventure: high-class accommodation facilities in Valdaora offer high-quality service and comfort and also hikers and nature lovers have already heard about Valdaora in Val Pusteria, a place which is situated amongst the fascinating fauna and flora of the nature reserve Fanes-Sennes-Braies. The ski area Kronplatz offers fun during wintertime and the nice living quarters which are available in this area make for a quality time in Valdaora in Val Pusteria.